Today introduceing a mod with few days of life. Destruction Catalyst 1.6.2 is a mod that adds an object to the game, which is known those who enjoyed of the “first version” of the Equivalent Exchange. This object belonged to that mod before it was rewritten for some time and lost many of its objects and functions. 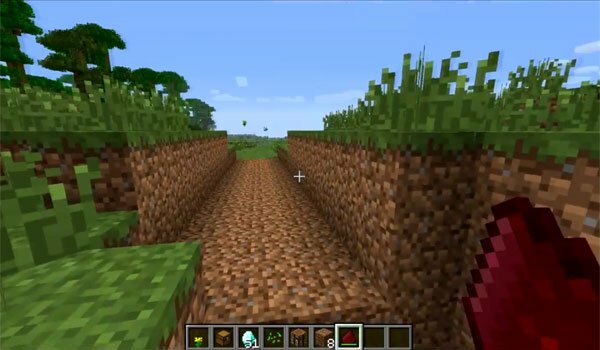 This object, the “Destruction Catalyst” allows us to mine 3×3 tracts of land at once quickly obtaining resources that this object finds in its path, yes, the recipe is quite expensive, but once achieved, the Minecraft resource gathering will be really fast and simple. How to install Destruction Catalyst Mod for Minecraft 1.6.2? Now you can enjoy again, the Destruction Catalyst!